In the first of our extra-length single-platform specials, Leon Cox is joined by Mega Drive enthusiast and expert Dan Clark as well as retro collector and technical guru, Digital Foundry’s John Linneman. In traditional Cane and Rinse fashion, the assembled panel dissect every aspect of SEGA’s 16-bit Mega Drive (Genesis), from its development, through its graphical and audio strengths and weaknesses, design, add-ons and peripherals as well – of course – as many of the key titles from its large and varied library. We also share some warm and fuzzy MD memories from the community throughout. Don’t forget, not only can get the next one of these specials right now (The original Sony PlayStation), but also our exclusive Patreon monthly podcast and the Cane and Rinse podcast a week earlier if you support our Patreon for just 75p or $1 a month! Excellent, I'm almost looking forward to my Monday commute! I mean I'm not. At all. But at least I'll have this to listen to! I initially thought this wouldn't interest me too much as I've always favoured Nintendo and have always been a bit dismissive of Sega in general, but if anything that made me enjoy this episode more, as it was really educational. Really, really enjoyed it - so happy you are doing these and can't wait for the next one. That’s great to hear, thanks KM. Really enjoyed this. Listened to most yesterday and the rest just now whilst driving to a job interview. Leon, yours was the last voice I heard before I go in, and I like to think it's had a calming effect. If I get this job, it'll be in no small part to the podcast hahaha. After listening to this excellent episode, I went on a bit of a nostalgia trip. This is now available for everyone via the normal feeds - if you fancy listening to the next one, in which we talk about the original Sony PlayStation, then hop on over to our Patreon page and stump up your 75p a month! 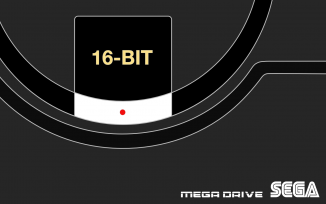 Great work on the Mega Drive console special. The Sonic 1 medley at the end was brilliant! Cheers guys.